April » 2014 » The Computer Company, Inc.
Short, snappy emails help time crunched readers. Even if you’re sending out your company newsletter, you can offer “teaser” information with a link to the full newsletter. You want to convey a professional image. To do that, don`t write in ALL CAPS, it looks like you’re shouting at your customers. Don’t go overboard with things like symbols and exclamation marks, either. It’s just not necessary.At its core, etiquette is all about being polite. The same rule applies when you’re emailing. Be courteous and respectful of your customers and their time. Make sure your company is putting its most polite foot forward, and you’ll see success. Want more email marketing etiquette tips? Sign up for the free evaluation from our email experts at WebInteractive. We want to assist you in building your business and profits. for 100’s of businesses just like yours for over 15 years. Developing and managing your company’s entire web presence is our business. Alibaba, the Chinese internet behemoth that’s relatively unknown in the U.S., is preparing to file the prospectus for a U.S.-based initial public offering next week, Reuters reported on Wednesday. Recent estimates value Alibaba between $153 billion and $200 billion and indicate that the IPO could raise up to $15 billion. With the IPO – the largest in tech history – just around the corner, here are five things you need to know about Alibaba. Think of it as a mix of Amazon.com, eBay and Paypal. Customers use Alibaba to shop online, sell unwanted goods and make online payments. Alibaba has two retail sites: Taobao, which features thousands of non-brand name products sold by smaller merchants; and Tmall, which offers brand-name products. The two sites are hugely popular, and collectively account for more than half of all parcel deliveries in China. According to The Wall Street Journal, their combined transaction volume in 2012 topped one trillion yuan ($163 billion), more than Amazon and eBay’s revenue combined. Hangzhou-based Alibaba is China’s largest internet company and operates in the world’s largest internet market. It also has offices in the U.S., U.K., India, Japan and Korea. China has 560 million internet users – twice as many as the U.S. – who spend an average of 20 hours a week online. With 24,000 employees, more people work for Alibaba than Yahoo and Facebook combined. The site had 36.7 million registered users in 2012, and Taobao.com is one of the world’s 20 most-clicked sites, Business Insider reported. On the 11th of November every year, Alibaba conducts a huge online shopping sale which coincides with what is known in China as Single’s Day – a day on which young people lament or celebrate being single. On November 11 2013, Toabao and Tmall made 35 billion yuan ($5.75 billion) in the 24 hour period. Meanwhile, Alibaba’s mobile payments service Alipay is responsible for 70 percent of all of China’s mobile payments in 2013, The Wall Street Journal reported. Alibaba Group reported a 66 percent on-year surge in revenue to $3.06 billion in the final quarter of 2013, while net income more than doubled to $1.36 billion. The robust earnings report followed a slowdown in the previous three quarters. U.S. search engine Yahoo’s market value is closely interlinked with Alibaba as it owns a 24 percent stake in the Chinese internet giant worth around $30 billion. Yahoo’s shares rose 9 percent following Alibaba’s quarterly earnings report on Wednesday. Jack Ma, the 49-year old Alibaba founder, is China’s eighth richest man and the 122nd richest man in the world, according to Forbes, with a net worth of $10 billion. In 2011, Chinese police arrested 36 people in connection with operating fraud on Alibaba.com. They were accused of running a criminal gang that used fake personal and business identities to open fraudulent accounts, cheating buyers out of over $6 million, Reuters reported. In 2012, Yan Limin – once the manager of Alibaba’s Juhuasuan group buying venture – was sacked for gross misconduct after accepting two large bribes. He was sentenced to seven years in prison in 2013. Several other Alibaba employees implicated in the case were also sentenced. Alibaba made $3.5 billion worth of acquisitions over the past year. Its shopping spree has been concentrated in Asia thus far, but the conglomerate is starting to target the U.S. market. Last month it bought a minority stake in California-based messaging and free-calling app Tango for $215 million. Alibaba already has its own application, Laiwang, which had over 10 million users as of January. WebInteractive provides you with everything it takes to sell products and services online. We understand your needs. In today’s digital economy, people want to conduct business quickly, easily and wherever and whenever they feel like it. Therefore, in order to compete in the 21st century, a company must be conducting business 24×7. eCommerce is one of the most important technologies that has emerged from the internet. ecommerce allows people to exchange goods and services immediately and with no barriers of time or distance. eCommerce allows customers to go online and buy or sell almost anything they want 24/7. eCommerce – The Computer Company’s programming skills and focus on security will enable your business to fully capitalize on the vast potential in web-based and real time credit card transactions. The comprehensive online marketing and web development solutions from TCC Web Interactive helps your business grow. Let WebInteractive do a free evaluation of your website and start making money with your website! As of April 8 2014, your XP computer is no longer receiving automatic updates that help protect your personal information. Even if you have anti-virus software, your computer may not be fully secure. If you continue to use Windows XP without XP support, your computer may still work but will become vulnerable to security risks and viruses. 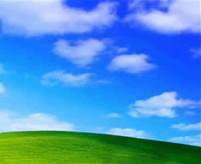 Windows XP is 12 years old. It’s typical to end service for software as it gets older and technology evolves. Most of us have replaced cell phones and even our cars over the last 12 years – now it’s time to replace your Windows XP computer with a new PC. Or you can check to see if your Windows XP computer can run the new Windows. The Computer Company offers a free evaluation to outline your options and are here to support you as you make your next step. If you still need answers, Ccontact the Computer Company about the end of Windows XP support. And if you’re concerned about moving your personal files, photos, music and more when you upgrade, we can help you transfer it.